Kathryn Grant broke the current CANADIAN NATIONAL RECORD! MEDAL ALERT!!! The Ottawa National Diving Club has just returned from their second qualifier in Pt.Claire with outstanding performances. However one performance stood out among the rest and deserves MAJOR recognition. 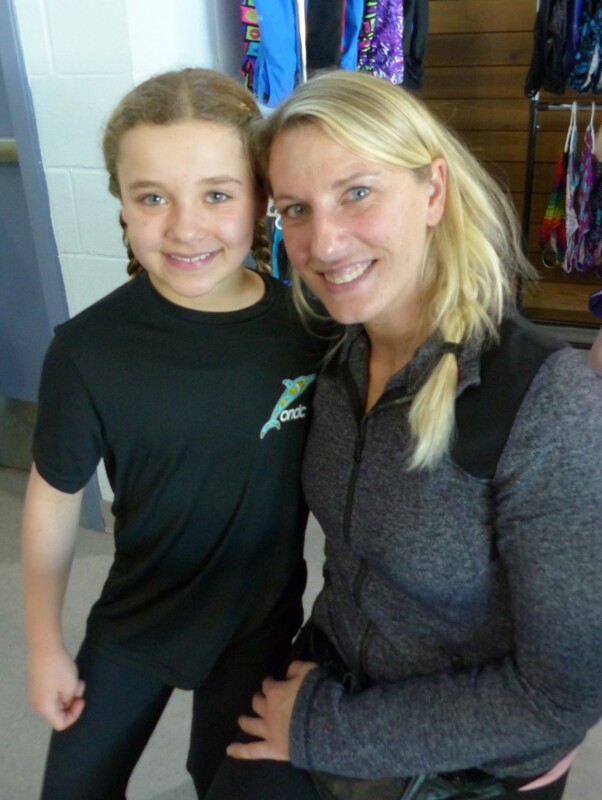 Kathryn Grant at only 11 years old broke the current CANADIAN NATIONAL RECORD of 303 points on 3m. This record has been set by previous olympians and elite performance athletes at the national championships. Kathryn scored a whopping 308 points on 3m beating the current record by 5 points and scored 103 points OVER the national standard. A little research is required but this could be the highest score from a canadian in her age group ever! Congratulations Kathryn on your GOLDEN performance. Timothy Lewis had a great weekend over all. He set a new PERSONAL BEST and beat the current provincial record on tower for his age group. Tim scored 253 points on tower beating the provincial record of 242 after nailing his new dive, a back 2 and a half from the 7m. Congratulations Tim on your gold and 2 silver medals this weekend! Emma Corrigan had the most consistent weekend our coaches have ever seen. Entering into a new age group against Quebec powerhouses Emma showed them that she can compete with the best. She finished 6th on all her events with only a toe point separating her from top 3 finishes. It was such a close race and outstanding to watch. Consistency is key in this sport and we are very proud of her this weekend. 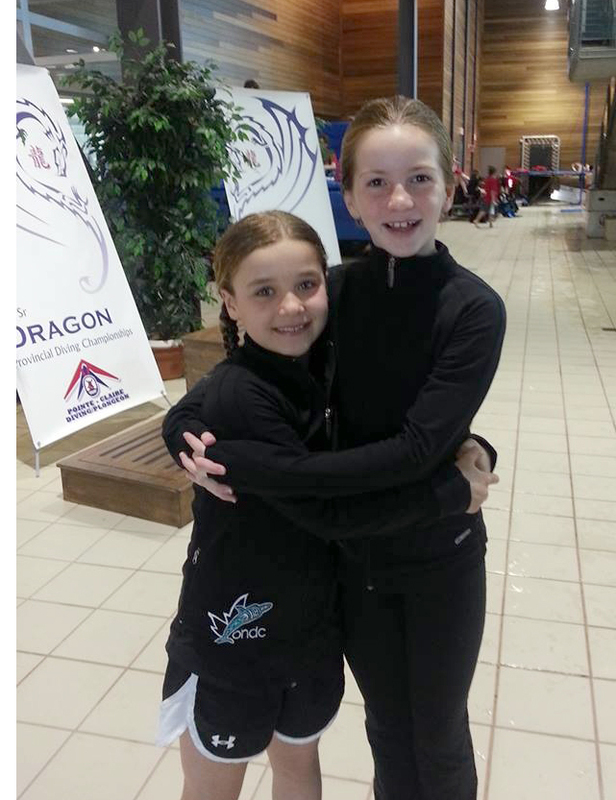 Catherine Boyer only 8 years old competed for her first time in Quebec. She showed great potential that did not go unnoticed by Diving Canada, performing dives that athletes 3 years older than her performed. She improved on her personal best scores on the 1m over 25 points and tower by 5 point but the competition got the best of her on her 3m event after having a phenomenal practice. 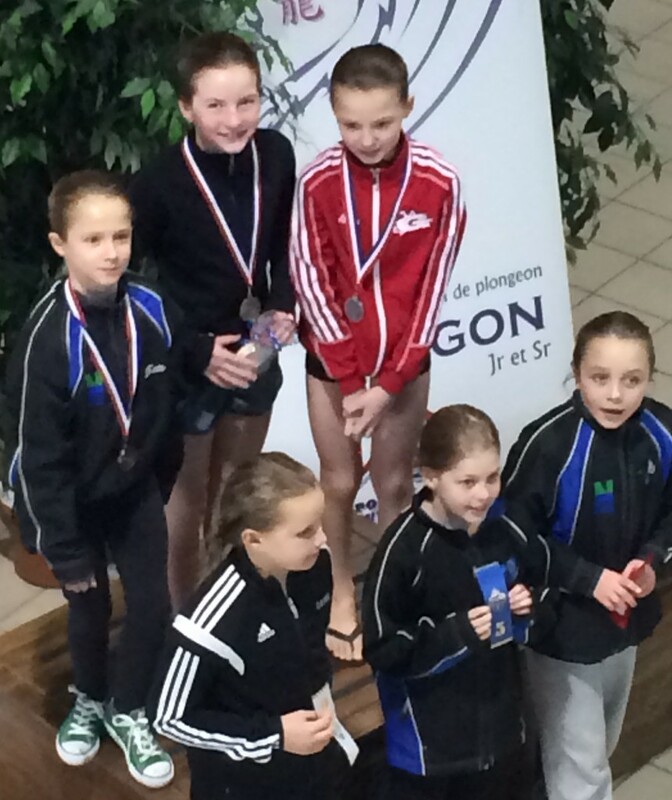 On the weekend she finished 5th on tower and 6th on the 1m event. Congratulations Catherine! Lubina Nayak immediately after writing a university midterm managed to work out her schedule to attend the competition competing on the 1m open event. Lubina showed great improvement in the 3 weeks of practice from her previous competition. She finished in 8th place competing against canadian international team members and multiple national champions with over 10 years diving experience. For her to show dedication to the sport of diving while balancing a full time university schedule takes a hard working individual. Congratulations on a great weekend Lu. Kathryn Grant receiving one of her gold medals. Kathryn Grant with Catherine Boyer – a winning hug! A special moment for a young diver. 4 time Olympic medalist Emilie Heymans with Catherine Boyer. Emilie is the only female olympian diver to win a medal at 4 consecutive olympic games.